, : Add one mana of any color. 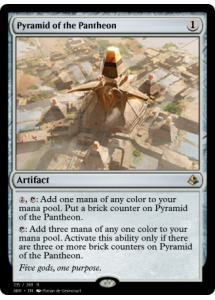 Put a brick counter on Pyramid of the Pantheon. : Add three mana of any one color. 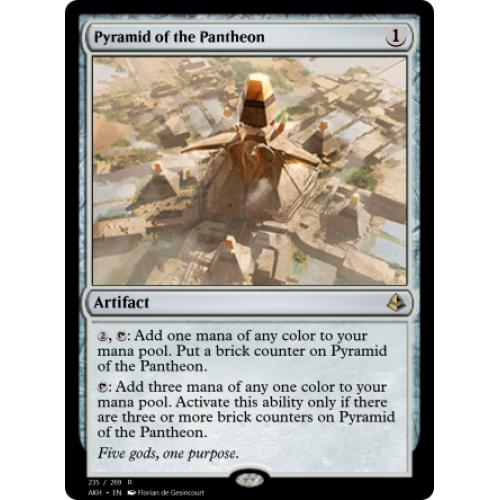 Activate this ability only if there are three or more brick counters on Pyramid of the Pantheon.